I went into my master’s program at Spain’s Universidad de Alcalá convinced I wanted to be an interpreter. A year later I was a passionate translator. Sitting on the edge of my seat in a conference booth interpreting for a Finnish researcher; sandwiched next to an African immigrant across from a Spanish social worker; carefully situated between a Spanish therapist and her American patient—all of these experiences were exhilarating. It’s just that somehow I took much greater pleasure in searching tediously for parallel texts as I translated a 50,000-word European Union bill. The two internships I did as part of the master’s program couldn’t have been more different: half of my time was spent interpreting for a drug and alcohol abuse program through Madrid’s public health department, and the other half was spent working alongside two classmates to translate a lengthy bill for the Spanish Ministry of Justice on the exchange of criminal background data among EU member states. Interpreting, though thrilling, made me nervous, while translating made me feel absolutely exuberant. One thing that good translators and good interpreters have in common is that both are perfectionists. I too am a perfectionist—for better or for worse. But studying translation and interpreting at the same time made me realize that I am the kind of perfectionist who cannot live with providing perfection on the spot. I’d much rather take my time finding the perfect solution—and that’s how I came to be a translator. I began the Master’s in Intercultural Communication and Public Service Interpreting and Translation at Universidad de Alcalá (UAH) in 2013. 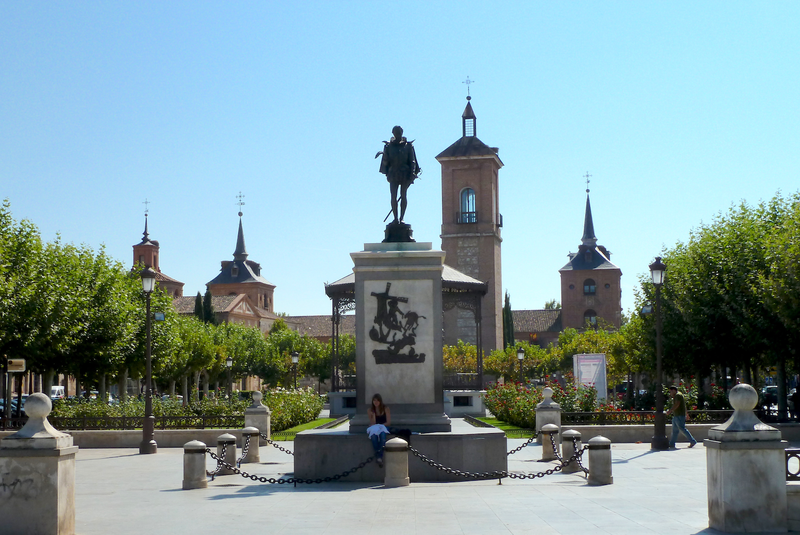 The university, one of the oldest in Europe, is located in Alcalá de Henares, a small city in the autonomous community of Madrid. Among its claims to fame, Alcalá is the birthplace of Miguel de Cervantes and the location where the first polyglot Bible was printed. The university has offered a master’s in translation and interpreting (T&I) since 2006, and the program has belonged to the prestigious European Master’s in Translation network (EMT) since 2009. The EMT vets universities based on certain standards for translator education, with the aim of improving the quality of the incoming workforce. The master’s at UAH is geared towards students with undergraduate degrees in T&I or those who are already working as translators or interpreters, though these are not strict requirements for admission (proof of language command is!). Some of my classmates were already sworn translators or practicing interpreters, while others were medical professionals or paralegals. One was even a teacher who won a popular game show on Spanish TV and decided to spend the prize money on taking his career in a new direction. I myself had been working in education and public services (at a library in the US and later as a cultural ambassador for the Spanish Ministry of Education in Madrid) for three years leading up to my discovery of the field of translation and interpreting. In line with the program’s goal of improving the skills of existing translators and interpreters, the curriculum is more practical than theoretical. The first half of the program consisted mostly of interpreting role plays and independent translation assignments that we reviewed together in class. 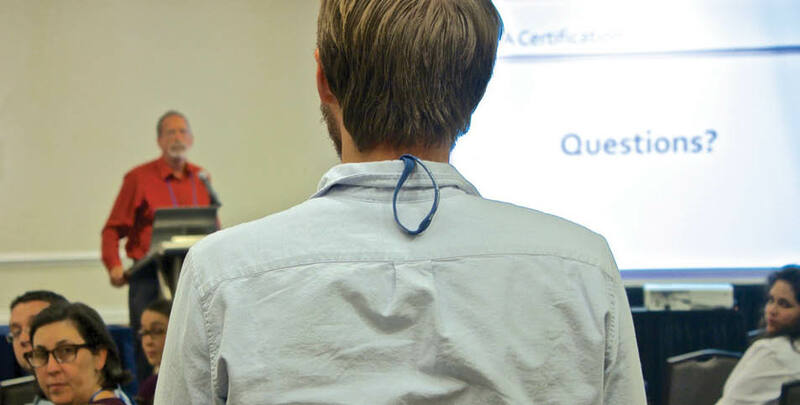 Our instructors were all talented translators and interpreters whose engagement in the profession allowed them to offer us relevant insights and anecdotes, giving us a taste of the world outside the classroom. Students with opposite A and B languages are placed together in each cohort (for example, there were native Spanish speakers as well as Americans and Brits in my cohort), and all students practice bidirectional translation. In my case, this meant translating not only from Spanish to my native English but also from English to Spanish. Translating in both directions allows students to offer better feedback and to benefit from one another’s strengths. I found that translating into Spanish improved my Spanish writing skills and also deepened my knowledge of equivalent terms and concepts in both languages and cultures. And I could go on! But at the end of the day, one of the greatest values of the program was being humbled by my fellow students, many of whom have gone from classmates to lifelong colleagues and friends. I still collaborate with some of them on projects now that we are “real-life” translators and interpreters, even though we’re scattered across the globe! 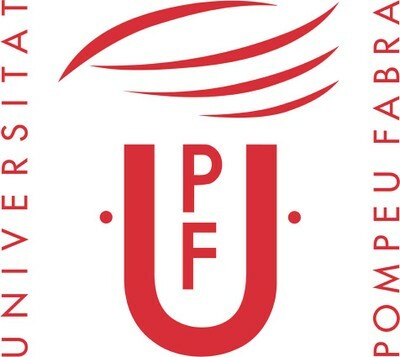 If you live in or near Spain or have the ability to travel, I recommend checking out the university’s conference on public service T&I in early March 2017: 6th International Conference on Public Service Interpreting and Translating. The university is also hosting the 8th International Conference of the Iberian Association of Translation and Interpreting (AIETI8) that same week. I finished my high school degree, including the International Baccalaureate Diploma in 2011 and decided to study Translation and Interpreting (T&I) because I love languages and reading, and through Latin and Greek, I learned to love translation itself. The lessons consisted mostly of epics and poetry texts. These two subjects taught me to be patient and to translate as if I were solving a puzzle where the original text contained pieces I had to put in place to reveal the beautiful final image. Like most degrees in Spain, Translation and Interpreting lasts 4 years. Who wouldn’t fall in love with this beauty? I came to Lund University for the first time as winter was just giving way into spring. My father drove me from one side of Sweden to the other in a shaky, noisy truck in a snowstorm, while I tried to sleep against the car window on an itchy old pillow. I arrived with no more than two hours of sleep and armed with a big bag of candy, ready to write my entrance exam for the translation program. Over the lunch break, my father and I walked around campus and discovered the university library. I decided right then and there that I wanted to stay and study in Lund. Love at first sight is real. Needless to say, I passed my entrance exam and I’m currently taking the program’s third of four terms. 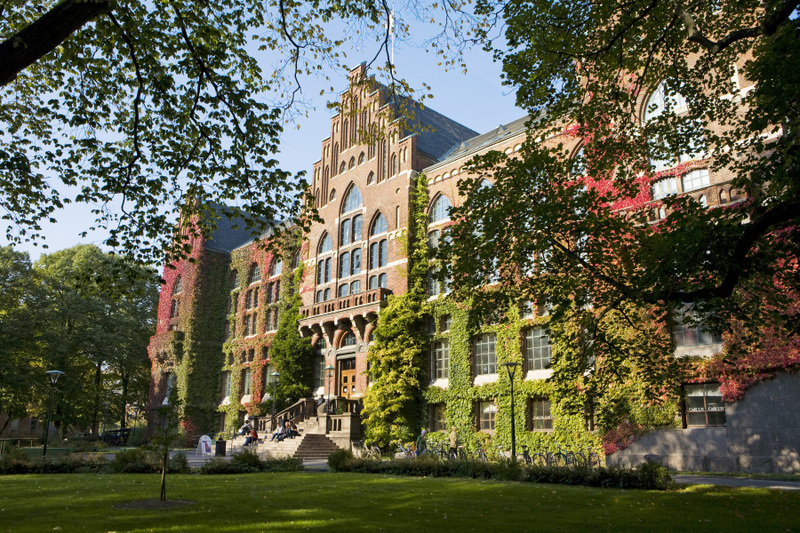 At Lund University, students can select to take a one-year or two-year MA in translation. I chose two years because the courses offered during the second year seemed interesting and because I thought writing the master’s thesis would deepen my understanding of translation studies and research. Of course, there are alternatives for students that aren’t interested in the master’s thesis at all, such as taking three of the four terms and not writing the final master’s thesis. This program is focused on translation, so there are no interpreting courses or training. Although some assignments include translating fiction, the main focus is translating non-fiction texts. The program is offered entirely in Swedish, with Swedish as the target language and English, French, Spanish, Italian and German as source languages. English is offered every year, but the other source languages have been split up so that two are offered each year. New students can choose English, French or Spanish one year and English, Italian or German the next. It’s also a campus-based program without any online courses, which fits me perfectly. The first year includes translation courses where the students work with texts from various genres. For example, we were given excerpts from a software user manual for one assignment, followed by a popular science text about sharks for the next assignment. The combination of this level of variety and the tips and tricks from the experienced teachers gave us the resources we needed to handle different genres and find appropriate sources for fact checking and terminology. We also studied Swedish grammar and text analysis, and were introduced to CAT-tools such as SDL Trados Studio and MemoQ. In the second year, students can choose between translation from a second source language and translation from Danish. Since I don’t speak any of the other source languages offered, I went with Danish. I suppose I can’t say much about my skills, since I haven’t actually passed the course yet, but I feel much more comfortable with Danish now than I did three months ago. The teachers have given us a lot of information on how to think about the small but important differences between Swedish and Danish and how to familiarize ourselves with the language and culture in order to become better translators. The second course of the second year is focused entirely on translation studies and theory. This is partly because it’s an integral part of the program, and partly because it prepares us for the master’s thesis and our future work after graduation. In addition, the teachers do their best to prepare us for life as a translator after graduation. They give us helpful pointers based on their own professional experiences and regularly send us information about interesting lectures or job offers. There was quite a fuss among them about the EU entrance exams for translators into Swedish earlier this year, and we even had a whole (optional) lecture dedicated to practical information about applying for and taking the exam. 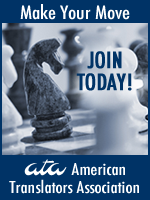 They also provide us with links to groups focused on advising and helping translators in the beginning of their professional life and give us information about translator associations such as the Swedish Association of Professional Translators (SFÖ). I feel much more confident about my language and translation skills after these three terms. I’ve developed a much keener sense of the Swedish language as well, since the natural flow and sound of the resulting target text is such an important part of any translation. Thanks to my education and the network of friends and professionals I’ve developed during my time at Lund University, I now have a solid foundation for my future career.